Grapefruit is a large citrus fruit that has a refreshing smell. Being rich in vitamin C, it stimulates collagen production and hence, promotes healing of the skin and helps retain elasticity. Thus, it makes your skin appear soft and smooth. Moreover, it is packed with phytonutrients that not only protect your skin from sun damage but also reduce toxins and eliminate the risk of developing certain types of cancers. 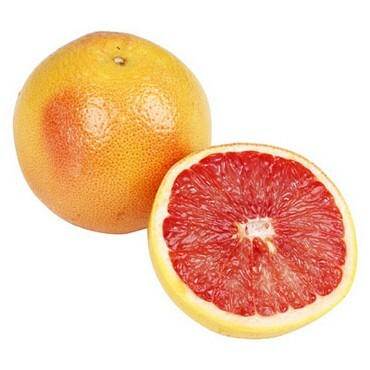 Besides, grapefruits are useful for healing acne, rashes, impetigo, psoriasis, dandruff, and other skin inflammations. You can include a grapefruit in a beauty care recipe and incorporate it in your diet as well to make the best use of this fruit, whether it is pink, red, or white. Intake of this tangy fruit also promotes heart health, improves digestion, increases metabolism, boosts immunity, and improves circulation. Usually, the red and pink varieties are a bit sweeter than the white ones. • Beat and egg white in an egg beater or with a folk and add one teaspoon each of grapefruit juice and sour cream in it. Apply this creamy mixture on your skin for 15 minutes and rinsing it off with lukewarm water to help remove excess oil from greasy skin. Use it once or twice in a week to cure acne and blackheads. Prefer to use a white grapefruit because it is considered good for oily skin. • Add the peels of a grapefruit, two tablespoons of grapefruit juice, and half a teaspoon of borax powder in half a cup of extra virgin olive oil and heat in a microwave for a couple of minutes. Strain the solution when it cools and massage it on your face and neck as a natural cleanser. • Simply massaging the skin with chilled or frozen grapefruit segments for about 10 minutes is useful for maintaining healthy, radiant, and younger-looking skin. You can also add grapefruit peels (chopped) in warm bath water to relieve stress and fatigue. Watch this video showing how to make a grapefruit and yogurt face mask. • Exfoliate oily skin by scrubbing a combination of half a tablespoon of oat flour (grind rolled oats in a blender or food processor) and a tablespoon of fresh grapefruit juice on your face. Wash it off after 15-20 minutes. • Mix half a cup each of organic plain yogurt and cornmeal in a quarter cup of grapefruit juice. Spread this paste on your skin and wash it off with lukewarm water after 15-20 minutes. It is suggested to place this recipe in the refrigerator before using so that it can thicken. • Those of you who have dry skin can apply a mixture of one teaspoon of organic honey, half a teaspoon of grapefruit juice, and a whipped egg yolk. • Put chunks of unpeeled grapefruit and two tablespoons of fresh or dried rosemary herb in a cup of distilled water and bring to boil. Next, simmer for about ten minutes allow the solution to cool. Strain the liquid and add three drops of lime essential oil in it. Pour it in a spray bottle and store in your refrigerator. Use this solution as a refreshing facial mist to tone the skin and cure acne. • Take a tablespoon of rice flour and mix one tablespoon of grapefruit juice and one teaspoon each of carrot juice and sour cream in it. Regularly apply this thick paste on your face and rinse it off after 20 minutes to reduce wrinkles and fine lines. • Application of grapefruit oil on skin is highly beneficial for reducing puffiness on skin due to fluid buildup and reducing large skin pores. Besides, you can use grapefruit seed extract to get rid of acne and oily skin by increasing the skin’s pH level.